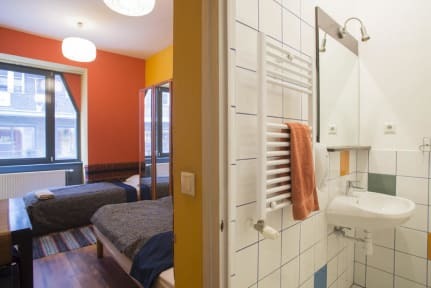 Bazar Hostel v Budapest, Maďarsko: Zarezervujte nyní! 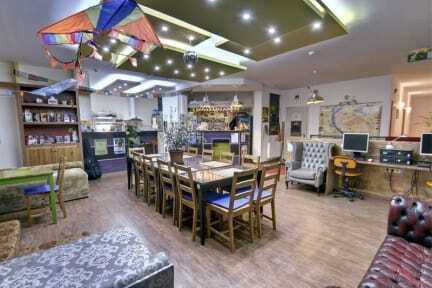 We really liked our stay in the Bazar Hostel. It was in a good location, the staff was very nice and helpful, the price for the services was reasonable and the facilities were satisfactory. The first day everything was clean, however, on the third day it would hurt if there was some cleaning going on. Also, we would have appreciated to know in advance that there was a deposit for the room keys. Really happy for my visit there. Just 2 minutes walk to metro station. Despite all the time opened window to rush street because of hot rooms, dont effect the sleep time.